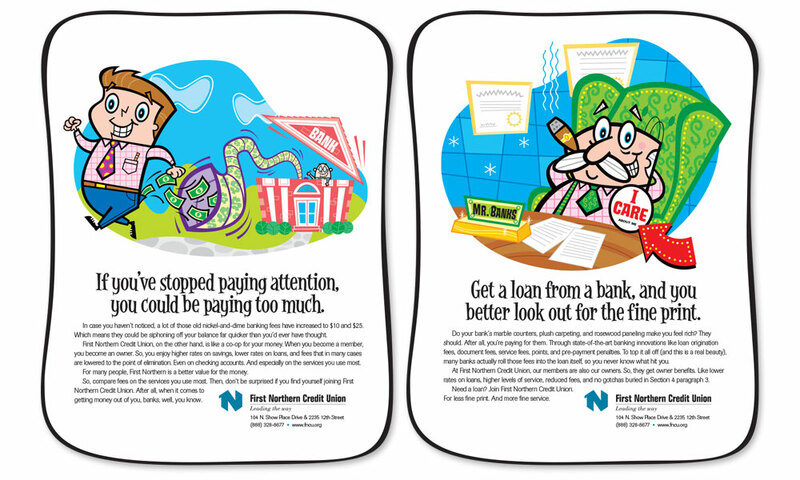 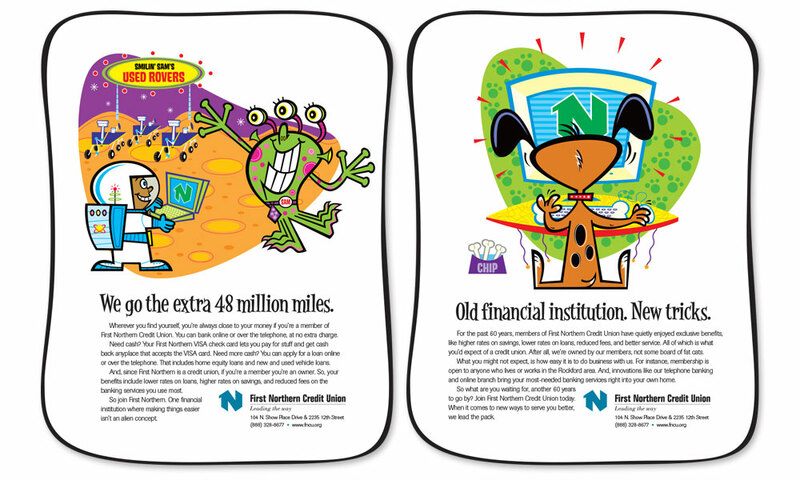 As BrainShine’s relationship with First Northern Credit Union evolved, so too did the marketing. 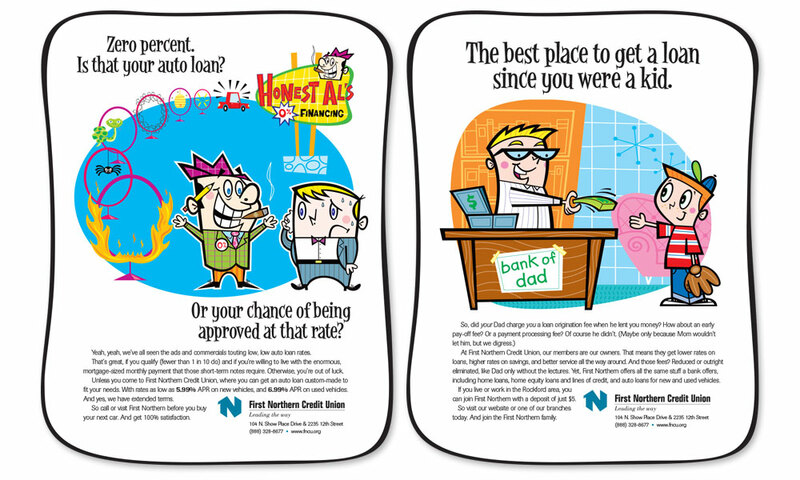 We moved from stock photographs to commissioned illustration, leading to even stronger conceptual ads to sell their products and services. 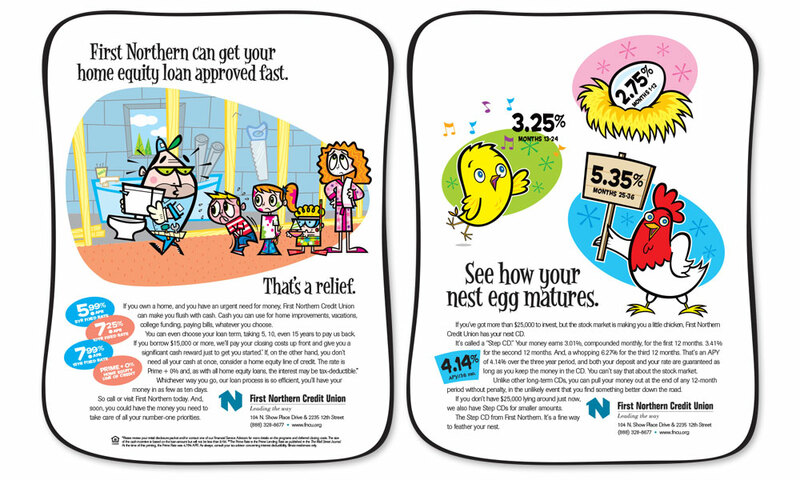 Continuing the media mix, direct mail and newspaper advertising were key marketing vehicles. 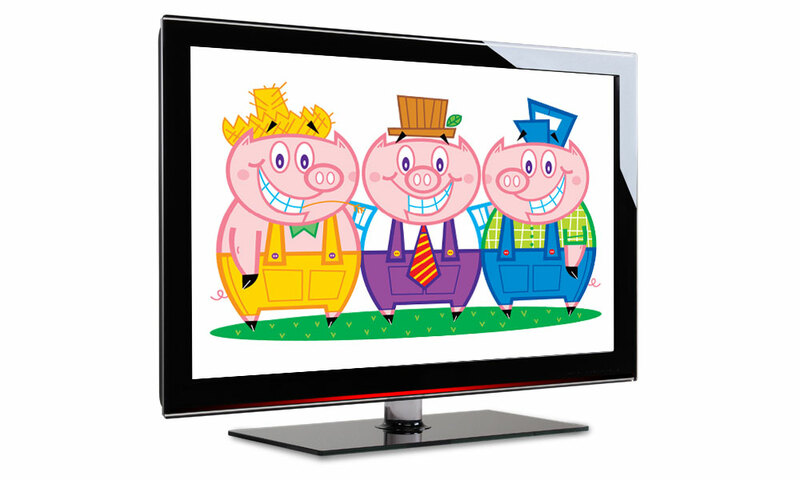 We used the print concept ideas to create paired television and radio spots. 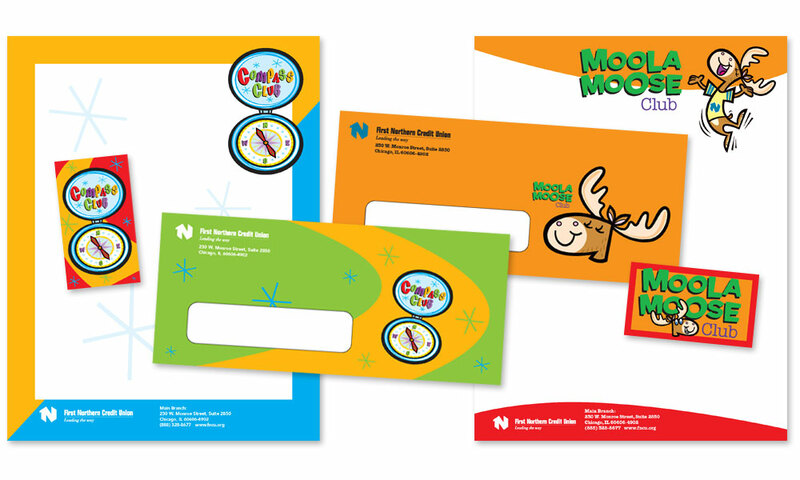 And we developed materials for their outreach programs, like their kid’s clubs. 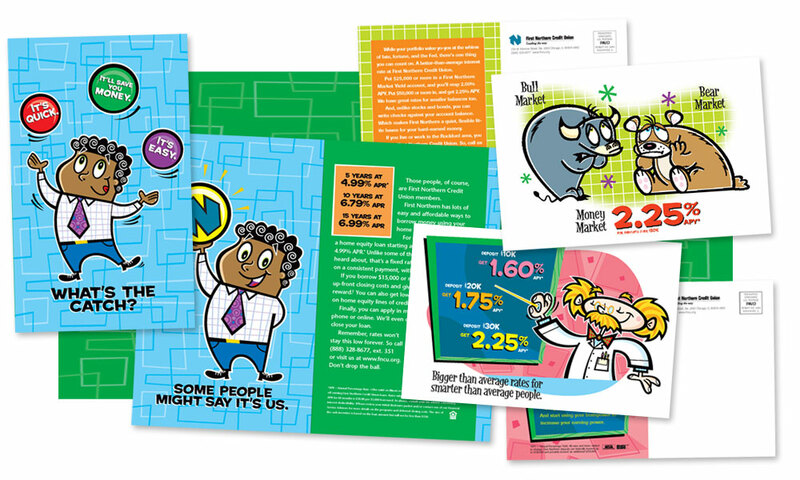 Concurrently, BrainShine developed their web presence (see First Northern Online in the Digital portfolio), designing three iterations of the site over a 10 year period. 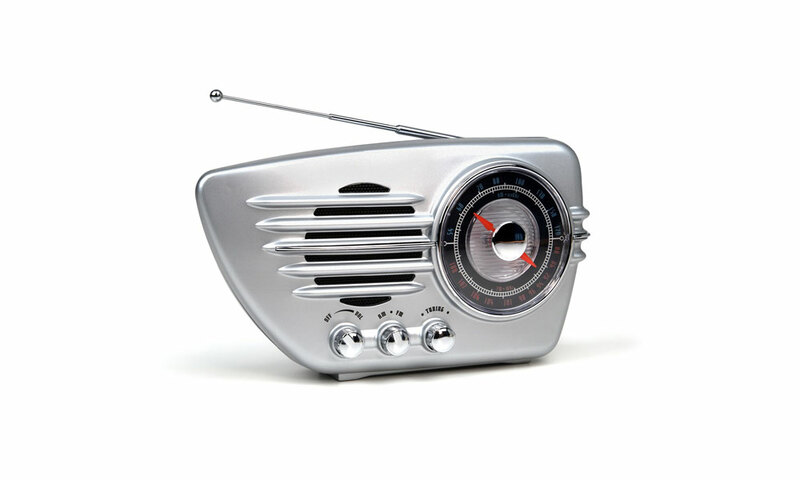 First-time caller, long-time listeners knows best.